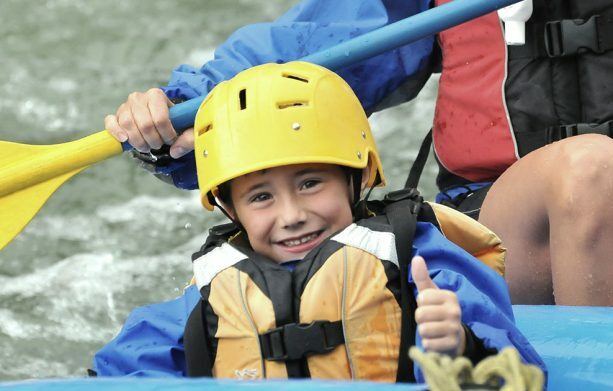 This exciting experience allows you to enjoy two of Colorado’s most popular activities in one integrated package! Check-in at the Rusty Spurr Cow Camp for a beautiful, two-hour morning trail ride. Enjoy the gorgeous views of the Rusty Spurr’s home range with backdrops of the Never Summer mountains and Rabbit Ears Pass. After lunch, take a short drive over to the AVA Rafting headquarters in Kremmling where you will meet your guide. 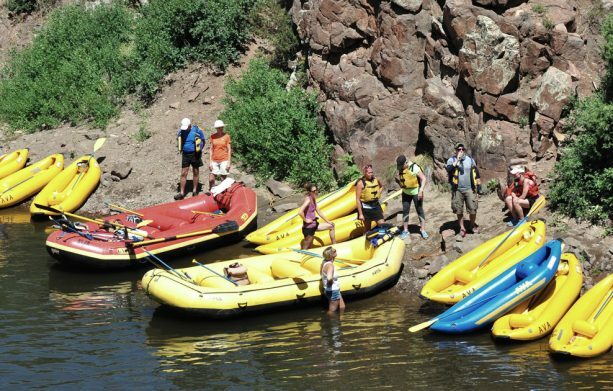 AVA will drive you to the put-in point and guide you down the scenic Upper Colorado River for your ½-day raft trip on the mighty and wonderful Colorado River! What better way to cool down and knockoff the dust from the trail! Your horseback riding trip with Rusty Spurr Ranch will also include all the necessary gear you need, so all you’ll have to bring is a taste for adventure in Colorado’s backcountry. Head out on the Colorado River!